ENFORCEMENT ACTION: such as prosecution, improvement and prohibition notices being served on the company by the local Environmental Health Officer of Health and Safety Executive (HSE). 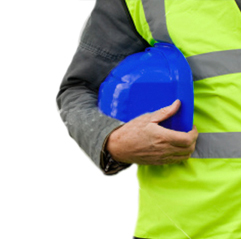 ACCIDENT CLAIMS: An increase in workplace accident claims. INSURANCE COMPANY REVIEWS: Pending insurance company visits or being refused insurance for lack of compliance with health and safety law. BEING ASKED FOR H&S DOCUMENTATION: An increase in health and safety information being asked for when working for large organisations or tendering for large projects such as safety policy, risk assessments and method statements. NOT HAVING AN "IN HOUSE" H&S RESOURCE: When you don't having access to an "in house" competent person to advise and assist. COVER FOR SICKNESS AND ABSENCE: The need for an interim consultant to cover employee sickness, maternity leave of absence. NEW OR IMPENDING LEGISLATION: The introduction of new laws that you don't fully understand but need to comply with. TO REVIEW CURRENT COMPLIANCE WITH H&S LAW: The need for an Audit to assess current compliance with health and safety law and best practice. Managing health and safety doesn't have to be expensive, time consuming or complicated. In fact, we will demonstrate to you how simple and straightforward it can be and how we can save you money enhance the reputation of your business and, more importantly, help you protect the health and safety of your own employees and anyone else who could be effected by your work activities. 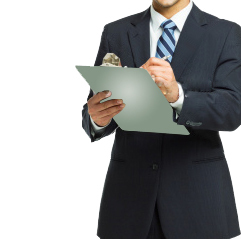 Our consultancy service is very cost effective and can cost far less than employing a full or part time health and safety adviser. An initial consultation is always free, so you have nothing to lose by getting in touch with the expert safety consultants at Oracle Safety Associates. Accidents in the workplace can result in a criminal prosecution and injured parties could sue your company for negligence. Once a clear health and safety policy has been established it is necessary to set out how health and safety will be implemented. Procedures can then be developed and used as working documents to manage health and safety. We can assist you in the development of management systems for areas such as risk assessment, consultation, permit to work, isolation of plant and safe systems of work etc. Management systems are developed in accordance with the Health and Safety Executives (HSE) guidance note; HS(G)65 Successful Health & Safety Management. The diagram above shows the key elements of the H&S Management System HS(G)65. If a company has an existing health and safety management system, we can audit this and give an indication if standards are being complied with. We can audit a whole company, or undertake specific audits on areas such as transport safety, manual handling, chemical safety and fire safety. We can also undertake specific inspections with management teams to guide and mentor front line supervision of health and safety. We can assist a company to undertake risk assessments of general work activities and specific hazard areas, such as machinery, manual handling, chemicals, display screen equipment and personal protective equipment. 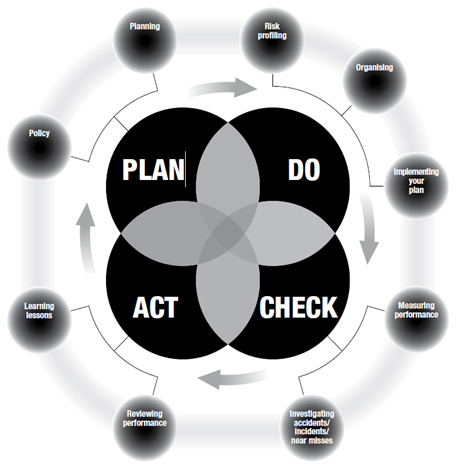 We can develop systems and procedures for a company to use to ensure that the risk assessment methodology reflects the industry sector and existing management systems. Oracle Safety can produce tailor-made fire risk assessments to suit individual needs, from large places of assembly to historical and listed buildings. We use the ground-breaking Publicly Available Specification (PAS) 79, which gives a nine-step structured approach for conducting and recording significant findings of fire risk assessments. Free help line and emergency cover. 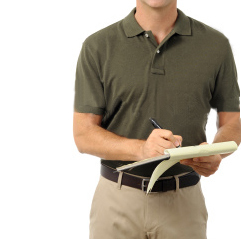 Free annual review of health and safety procedures and policies. Be able to win work by quoting Oracle Safety Associates credentials as your source of competent health and safety advice. Health and safety courses at discounted prices. We can help you liaise with the Health and Safety Executive or Local Authority, and can assist you deal with enforcement action taken against your company. Before establishing or improving a Safety Management System it makes good sense to take a closer look at the present situation. We undertake an initial status review that becomes a baseline for improvement for future development of company management systems. We can assist you to undertake a Climate Survey which will ensure your people are involved in health and safety which is essential in effective prevention of occupational accident and ill health. Behavioural Based Safety is a technique to enhance employee safety awareness and attitude to health and safety. We can provide you with the knowledge to understand what shapes peoples behaviour and to recognise good ’safety habits’, enabling you to strive towards a positive safety culture.